Members of S&DBA and S&DWBA any combination Over £800 in Prize Money! Entry Fee £18 per triple. As part of the National & Southampton Heritage Open Days, following on from our very successful Heritage Day in 2015, this year, on Saturday 10th September we will be holding a special Heritage Day when our members will be dressed in costumes from the 13th Century through till today. 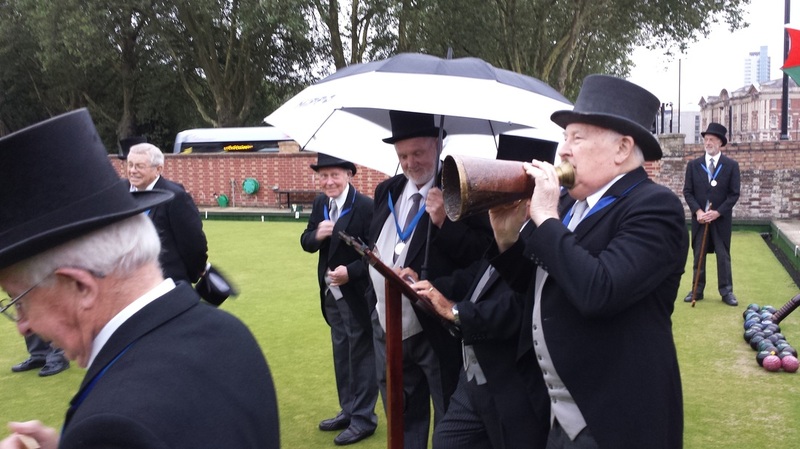 In costume, we will bowl a special Heritage Game of Lawn Bowls and will welcome our visitors to roll-up one or two woods on the World's Oldest Bowling Green which is something normally reserved for our members and visiting teams. Of course, with our green being so important to us we will make sure that any guest bowlers are supervised by one of our members. As well as watching, and perhaps participating, in the Heritage Match, our visitors will have the opportunity to be shown round our Clubhouse and view the many archives that we have. On Sunday 11th September we will have an additional special Heritage Day - further details later! Event not suitable for children under the age of 5. We would like to use this page, to share with you what is going on each month within Each club, and your Association. We would invite you to send us details of any event you are having, and we will update this section of the website with your event. Please use this form, to submit details of the Event, Tournament, etc.